Cameron Todd Willingham prosecutor John Jackson charges: Corrupt prosecution in Texas execution. What happens in Texas when you get a man executed on the basis of bad testimony? 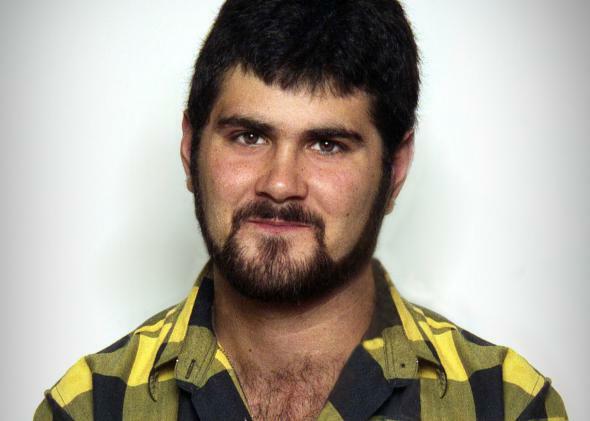 Cameron Todd Willingham was convicted of murdering his three children in 1991. It turned out the forensic evidence was completely bogus, but he was executed anyway. What happens when a corrupt prosecutor gets an innocent man executed? The state of Texas may soon answer: very little. On Wednesday it was reported that John H. Jackson has been formally accused of misconduct by the State Bar of Texas in the case of Cameron Todd Willingham. You may remember the Willingham story from David Grann’s epic and groundbreaking 2009 New Yorker article on the Corsicana father who was convicted in 1991 of murdering his three children by setting his home on fire. It turned out that the forensic evidence used to convict Willingham was completely bogus, but when this exculpatory information was presented to then-Gov. Rick Perry, he went ahead with the execution anyway. Willingham died at 6:20 p.m. on Feb. 17, 2004. “Before, during, and after the 1992 trial, [Jackson] knew of the existence of evidence that tended to negate the guilt of Willingham and failed to disclose that evidence to defense counsel,” the state bar alleged in its formal complaint. Jackson has disputed the accusations through his attorneys, but as the Marshall Project and the Washington Post reported in August and further demonstrated earlier this month, there’s a rich paper trail that points to Jackson’s guilt. Starting shortly after the Willingham trial, the jailhouse informant Johnny Webb appears to have received both legal and financial support from Jackson. Two months after the Willingham trial, during which Jackson repeatedly made it a point to say there had been no deal with Webb, a note was placed in Webb’s file that said “per John Jackson” the Texas prison system was to be informed that Webb should be given a lesser robbery charge than the one he had already pled guilty to earlier that year. Another note was found in the district attorney’s file that said that Webb’s charges would be lessened—again, after his conviction—“based on coop in Willingham.” In 1996, Webb wrote to Jackson that the Texas Department of Corrections was “not following the agreement we entered” to lower the charge. As Willingham awaited appeal, Webb threatened to make the alleged deal public. Less than three weeks after receiving the letter, Jackson went to the judge in the Willingham case—who had also been the one to originally sentence Webb to prison—and got him to change Webb’s conviction to second-degree robbery, making Webb immediately eligible for parole, which Jackson then endorsed in a letter to the parole board. At the same time, a wealthy rancher named Charles Pearce was supporting Webb financially, and Jackson acknowledged in letters that he met regularly with Pearce to “discuss” Webb’s “problems.” When Webb—back in jail on a different charge—threatened to recant in 2000, Jackson reassured him that he and Pearce had “worked for a long time on a number of different levels” on Webb’s behalf. When Webb did formally recant in 2000—revealing that Willingham had never confessed to him and that he made up the claim that Willingham said he had killed his three children—it was never placed in his file and Willingham’s lawyers were never notified. After subsequently recanting his recantation, Webb has now re-recanted, saying he was not only paid off, he was actually “coerced” into offering the initial testimony. At the time that he testified, Webb even told Willingham that he was being coerced, according to Willingham’s stepmother, Eugenia, who has been fighting for his exoneration—now posthumous—for decades. “Todd called me and his dad, and he told us, he said, ‘Johnny Webb has told me they’re going to make him testify against me,’ ” Eugenia Willingham told me in 2013, more than a year before Webb had claimed to have been coerced in his interview with the Marshall Project. Eugenia Willingham, understandably, is hoping for some greater punishment for alleged misconduct that sent her stepson to his death. Based on recent history, Willingham’s wishes may be too much to hope for. A different former Texas prosecutor, Ken Anderson, was given a 10-day sentence, with five days off for good behavior, for having withheld evidence that kept a man named Michael Morton wrongfully in prison for 25 years of a life sentence. Based on how this case has been treated so far, it wouldn’t be surprising to see Jackson receive an even lighter slap for having helped deprive an almost certainly innocent man of his life.